When marriages are going through a rough patch, it can be tempting to feel defeated and consider filing for divorce. This is especially true when one spouse seems more adamant about calling it quits. While feelings of hopelessness and despair can start to kick in, it is imperative to know that your marriage can be saved. 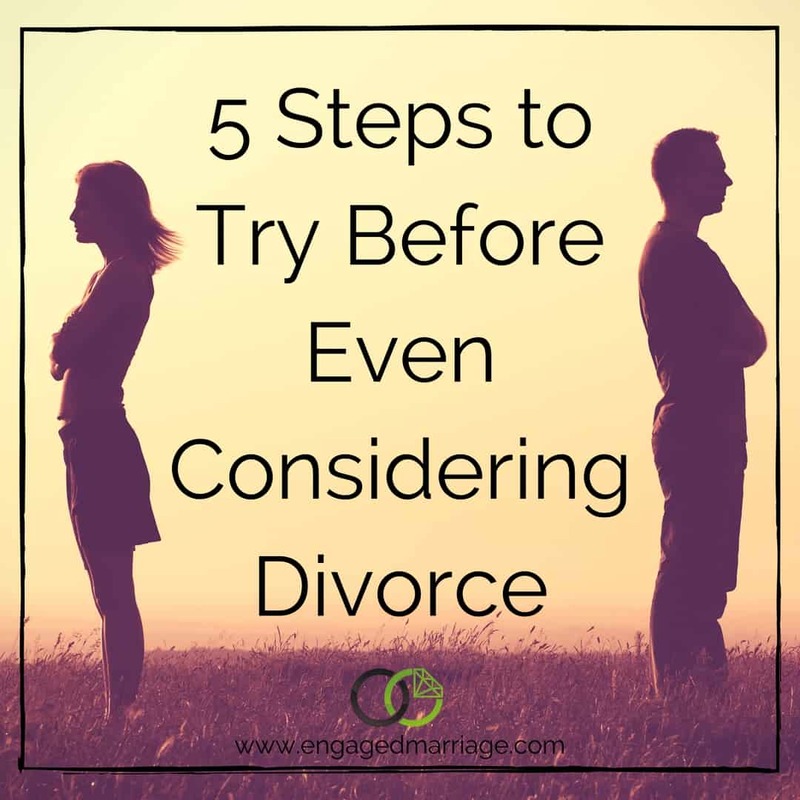 Though it may seem necessary in the moment, divorce is a decision that should be made only after you’ve tried everything you can to save your relationship. Whether the issue is finances, sexual tension, infidelity, or feeling like you’re growing apart, it is imperative to give each other some space. The two of you have been living together for years, and like many couples who have been married for a while, you get into a rut or routine that can cause what would be non-issues to become problems. Time alone can allow you both the space you need to think, but it can also bring you closer together as absence makes the heart grow fonder. Giving each other space might mean sleeping in separate rooms or one or the other party moving out or staying with a friend for a while. Be sure that you’re respectful of each other and don’t get tempted to move further away from your marriage. Deciding to file for divorce is usually an impulsive decision that was mainly driven by emotion. Many couples deal with issues in the marriage for years but sweep them under the rug into they’ve got a ton of little issues eating away at them. A marriage counselor can work with the two of you to find out what the underlying cause is for this shift and perhaps give you tools to bring you closer together. Whether you go on your own (for spouses who don’t want to attend), or your spouse decides to accompany you, therapy can open your eyes to things you weren’t aware of, and provide you with guidance to get through the worst. There are times when there are so many distractions in your life that your marriage finds its way to the back burner. This can cause all types of issues. From feelings of loneliness and abandonment to anger and resentment, it can wreak havoc on the relationship. If you can, take a vacation with just to two of you with no distractions. Get back to focusing on each other and why you fell in love in the first place. When you get home, those problems may not seem so major. Though a divorce will be difficult for you, it will be devastating to your children. No matter what age they are, it is likely that your kids will begin to feel like it’s something they’ve done. Sometimes, spending time with your children as a family can improve your mood and make you feel hopeful for a better tomorrow. This may come as a surprise for advice, but sometimes, the best way to get a glimpse of reality is to consult a divorce or family attorney such as a firm like Quinn Law. 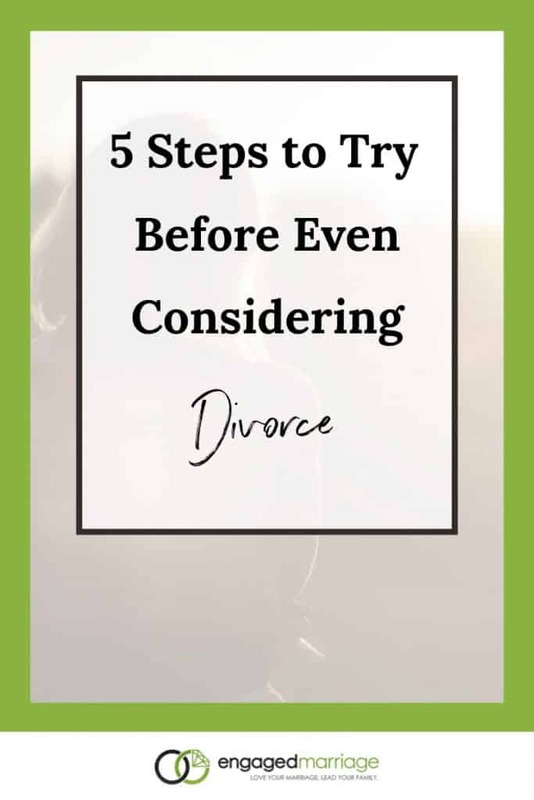 They can go over what a divorce looks like, what will be required of you, what you may lose, what will happen with your children, how much it could all cost, and more importantly, how long it would take for everything to be finalized. Sometimes, seeing your belongings, finances, and children are divvied up on paper can be the wake-up call you need to push through and work to save your marriage. If you try each of these things and don’t see improvement in your marriage, then seeking help from a divorce attorney should be your last resort. Broken families are hard to repair and the aftermath of a divorce can be more than you realize. So, as you go through difficult times in your marriage, ask yourself whether you’re ready to put yourself and your family through the ringer, or if you want to do the work and rebuild your marriage. Download This One Must-Use Strategy to Avoid Fights and Get Your Communication Back on Track Instantly.